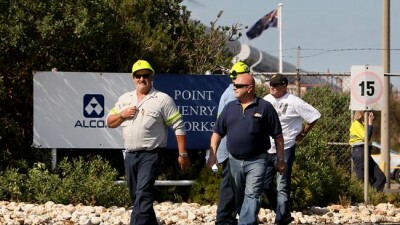 Penrice workers: all smiles till SA’s rocketing power prices killed their jobs. Australian is set to cross the Rubicon: following the path to Nirvana promised by renewable energy zealots, means inevitable economic and social oblivion. As the country continues pouring billions of dollars into the unreliables – wind and solar – power prices will continue to rocket out of control. And, even if an industrial or business user is prepared to pay through the nose to get electricity, the Energy Minister’s National Energy Guarantee provides no such thing. When the sun sets and/or calm weather sets in, major users will simply be chopped from the grid – under a policy euphemistically known as ‘demand management’. The victims of demand management are referred to as ‘demand resources’. For our international followers bemused by the above. Yes, this is Australia – erstwhile energy superpower – we’re talking about. Not Fidel’s Cuba or Stalin’s Russia. As is often the case, only a few are equipped with the vision necessary to call the looming calamity for what it is. One of those is former PM, Tony Abbott. Tony Abbott says he fears Australia is “sleepwalking toward its de-industrialisation”, attacking Malcolm Turnbull for sending mixed messages to businesses promoting company tax cuts while pushing for the national energy guarantee. The former prime minister said some businesses had been “gaming the system” of energy but he didn’t blame them. “If there are subsidies for renewable energy they will go and take them,” Mr Abbott said on Sydney radio 2GB. “The only guarantee as I read it (in the NEG design) is that emissions will come down. There are a few pages on prices and a few pages on boosting reliability and then we have page after impenetrable page of the most appalling prose you’ll ever read. Mr Abbott warned major projects, including the frigate deal with BAE Systems, could be affected by the nation’s energy woes. “You can’t make the steel you need for the frigates with intermittent, unreliable energy,” he said. Mr Abbott delivered muted praise for the Prime Minister as the government continued to push company tax cuts but said failing to deliver a reliable and affordable energy system cancelled out the good. “I can understand that it is possible to try to do two different things at the same time, but you shouldn’t do two different things at the same time that are in opposite directions,” he said. “I can absolutely understand why people say don’t rock the boat, I can understand why business wants a quiet life, I can understand why my colleagues want a quiet life but I’m not going to vote for something that I think will jeopardise our future. Nationals MPs have urged leader Michael McCormack to push Mr Turnbull harder on the NEG, with his partyroom this week compiling a set of “discussion points” for him to raise directly with Mr Turnbull. Mr Abbott, along with other Liberal and Nationals backbenchers, have threatened they could cross the floor and vote against the government’s NEG if they do not win more concessions. 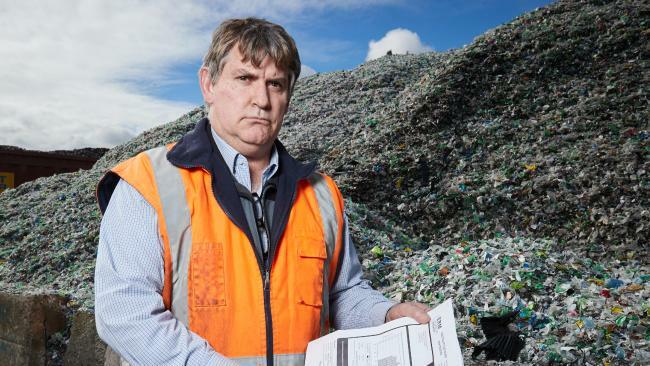 Plastic Granulating Services: another casualty of SA’s RE obsession. Edited audio from this broadcast. Ben Fordham: Live every Wednesday, we catch up with the member for Warringah, the former Prime Minister, Tony Abbott. He’s on the line. Mr. Abbott, good afternoon to you, sir. Tony Abbott: Ben, it’s wonderful to be with you and your listeners. Ben Fordham: Let me go to your threat to cross the floor to vote against the National Energy Guarantee. Business leaders were called in to try and convince you and other backbench colleagues to back the policy, but it sounds like they failed to soften your position. Tony Abbott: Well so many of these businesses and business groups last time they came to town were urging us to back Labor’s emissions trading scheme, so I’m a little sceptical about businesses, particularly businesses that have got a vested interest in gaming the system and there are many of them that have a vested interest in gaming the system and they are gaming the system. Take AGL for instance. AGL is going to close down 10% of New South Wales’ base load power because it wants to drive up the price. It doesn’t care about blackouts. It doesn’t care about the hit on your pocket and my pocket and your listeners’ pockets. It doesn’t care about keeping our heavy industries going. It’s gaming the system. I’m a little sceptical about being told by the Minister that we’ve got to back these things because people like AGL want them. Frankly, what AGL wants right now is not in Australia’s national interests. Ben Fordham: You would’ve heard the interview with my colleague, Ray Hadley today involving the Energy Minister, Josh Frydenberg who was suggesting that coal will be part of the mix as far as the National Energy Guarantee and he was suggesting that private investors can go down the path of coal. Tony Abbott: Yeah. Look, I have a lot of respect for Josh, but when he says that the government is technology neutral, he’s wrong. He’s absolutely wrong. How can you invest $12 billion plus in Snowy 2.0 pumped hydro and billions more in other renewable grants and loans, and not be in practise, if not in theory, anti-coal? I just can’t see any private investor coming forward to invest in coal given the political risk, which we’ve got and that’s why I say that the only way to keep the system going is for the government to do with coal the same that it’s done with pumped hydro, and if we can have Snowy 2.0, there’s no reason at all why we shouldn’t have Hazelwood 2.0. Let’s ensure that we have affordable reliable power and the only way we can do that is if we get more coal into the system. Ben Fordham: There seems to be a bit of a, “Come on, Tony. Trust us on this. Just come with us. Everything will be okay and don’t worry. We’ll add a bit of an add-on document to the National Energy Guarantee by the time the whole thing’s signed, sealed and delivered,” but it does make you sceptical, doesn’t it? Because if they’ve had all this time to plan it, then why isn’t the devil in the detail right now? Tony Abbott: It was very clear listening to the business groups the other day, they all said they backed the National Energy Guarantee, but when you ask them what they understood by the National Energy Guarantee, all of them had a slightly different take on it and that’s because this National Energy Guarantee is a work in progress. Now I noticed today a Labor frontbencher, the shadow minister for the environment I think saying that if the National Energy Guarantee has any place in it for coal, Labor will oppose it. My fear is that what we will end up doing as a government is allow Labor to dictate the terms of the National Energy Guarantee. We aren’t going to be asked to approve it until it’s gone through COAG and that means until it has been approved by the state premiers. Now anything that’s been approved by the state premiers will be something that can be massively ramped up to further increase prices and further drive jobs overseas under a Labor government. My point to my colleagues in the party room the other day was we should have the Labor premiers agreeing with our policy. We shouldn’t have the Labor premier’s policy given to us as a done deal on a take it or leave it basis. My fear is that the minister is so keen to get a deal out of COAG, but that’s what’ll happen. Ben Fordham: Yeah, it was Mark Butler, Mark Butler I think you’re talking about the …The Labor energy spokesman, Mark Butler has warned Labor could vote against the NEG if the government includes a revision that would subsidise coal. So there you’ve got the Labor party saying, “We’re going to bail on this thing if coal’s got anything to do with it,” but then you’ve got people like you on the government benches who are saying, “Look, if this is not part of it, then we’re not going to support it,” and you’re still taking that position, aren’t you? You’ll cross the floor. Tony Abbott: Ben, let’s get real here. There are some arguments you just have to win. Now going into the 2013 election, Labor supported a carbon tax because of their emissions obsession. The coalition opposed the carbon tax because while we think that it makes sense to get emissions down, we certainly don’t believe in doing that at the cost of your standard of living and your job. Now a lot of people said you can never win an election arguing on climate change. Climate change is not just an environmental issue, it’s an economic issue and if we give in to the climate change alarmists, we are going to do massive damage to our standard of living and massive damage to our industrial future, our economic future. We fought an election on this and won. The only poll we’ve ever had about energy was a poll that the coalition won because we were clear about where we stood and I believe that should still be our position. Ben Fordham: I get the feeling that the gulf between you and Malcolm Turnbull is widening. Tony Abbott: Ben, I am a backbench member of parliament and I think I owe it to the electors of Warringah and indeed to the Australian people to call it as I see it and frankly, there is no more important issue facing our country right now than our longterm energy security and it goes to whether we are an economy that makes things and I want us to be an economy that makes things. I want us to be a first world country. I don’t want us to be a country which as a matter of policy introduces a system of electricity rationing. For God’s sake, Ben, we are not in the 1940s nor the 1950s. Ben Fordham: We’re better than that. Ben Fordham: Thank you so much. We’ll talk to you soon. Ben Fordham: Tony Abbott, the former PM, member for Warringah joining us on 2GB. Port Henry’s Aluminium Smelter was crushed by the RET, too. Another who began warning Australians – over a decade ago – of the inevitable consequences of throwing its all behind subsidised wind and solar, is former Queensland Nationals Senator, Ron Boswell. Back in 2013, Ron tallied up the thousands of industrial and manufacturing jobs that had been lost to rapidly rising energy costs: Ron “The Boss” Boswell lays it down and says “fair go”. In the US, manufacturing is growing. Companies are bringing manufacturing home. Foreign companies are setting up manufacturing lines in the US. Why? Cheap electricity is one big reason. General Electric is spending $US800 million ($784m) bringing back production of electrical appliances from China to Kentucky. Apple is spending $US100m on a US manufacturing line for Mac computers currently made in China. Other companies lured back to the US include Caterpillar, Whirlpool, Otis, Electrolux, Google, NCR and Zentech. Foreign companies plugging into the US’s cheap power include German chemicals giant BASF, which has already committed $US5.7 billion to North America since 2009. US commentators are talking about an extra $US1.5 trillion increase in manufacturing production and 3.7 million manufacturing jobs by 2025. One of the main reasons for this resurgence is cheap electricity, generated by the shale gas now being tapped into by US power companies. Contrast that with businesses here, cutting jobs to save costs: BlueScope Steel in Victoria, 170 jobs gone; Boral, 790 jobs gone; Penrice Soda in SA, 60 jobs gone; Pentair, a company that made steel pipes in western Sydney for 60 years, 160 jobs gone; and Amcor, 300 jobs gone. Goodman Fielder is shutting 15 factories, cutting 600 jobs, Caltex its Kurnell refinery, 330 jobs, and the Norsk Hydro aluminium smelter near Newcastle, 350 jobs. Others are moving production overseas: Kerry Foods, 100 jobs gone; Kresta Blinds, 72 jobs; Cussons soaps, 75 jobs; Aerogard, 190 jobs; Harley-Davidson, 212 jobs; and Bosch, 380 jobs. Golden Circle has moved processing lines and jobs to New Zealand too. Rosella has gone after almost 120 years in business. Windsor Farm at Cowra, the second last Australian-owned cannery, closed its doors in March, costing 70 local jobs. The Australian Food and Grocery Council says more than 300 businesses went overseas or out of business in a year. Five years later and the equation has only got worse: power prices have more than doubled for business and industrial users, threatening tens of thousands of jobs in mining, mineral processing and manufacturing. 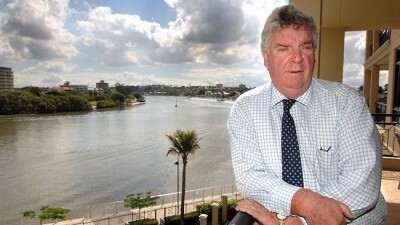 It’s evident that until his dying breath, Ron Boswell, will keep fighting for Australian jobs, wealth and prosperity. Here he is detailing the only way to avoid a crushing economic disaster. The story of energy policy during the past decade is simple: energy companies got the goldmine and consumers got the shaft. Instead of delivering stable, low-cost energy, our energy companies became renewable energy-subsidy harvesters. As a result, energy is less reliable and more expensive. It’s made it harder for low and middle-income households to make ends meet and harder for businesses — small, medium and large — to make a buck. The national energy guarantee is meant to fix the energy mess. I am not convinced it will, at least in its present form. But I do think it’s possible to build a workable policy around the NEG. The key problem is that the NEG will not bring on new baseload investment. It’s the policy you’d have if your supply and demand outlook is stable. But a large part of our baseload fleet is coming to the end of its life because of age and market distortions caused by lavish subsidies to renewables. Between 2017 and 2032, about 8000 megawatts of baseload coal will close. If you want an idea of the impact on prices and supply, look at what happened when Victoria’s 1600MW Hazelwood coal-fired plant closed last year. Wholesale prices went up 80 per cent. The next one to go is NSW’s 2000MW Liddell power station owned by that accomplished subsidy harvester, AGL. Despite warnings from energy regulators that Liddell’s closure will cause blackouts and higher costs, AGL has refused to sell the plant to other producers that want to keep it running. AGL chief executive Andy Vesey has effectively told the Turnbull government (and the Australian people) to get nicked. After a lost decade of pandering to the energy sector, it’s time for policy to support consumers, not energy producers. That means more reliable and low-cost supply. The NEG won’t bring on new baseload supply for three reasons. First, it’s a status quo policy, favouring incumbents ahead of new players. Second, new investors are worried a Labor government will come in with new targets and a basket-load of new renewable subsidies and kill any investment. Third, the NEG seems to shift the burden for reliable supply from generators to big users. So a supplementary plan is needed. It must be technology-neutral and focused on consumer and user concerns. We need new baseload generation in each of the eastern states. The best way to get the best price for that energy is to have an open tender for new supply through a power purchasing agreement for 15 to 20 years. It might be new super-efficient coal, gas or renewables with batteries or some mix of the above. But the prime consideration should be price and reliability. My guess is that new low-emissions coal will bolt it in. It’s the energy of choice in the rest of the world. According to the BP Annual Statistical Review released this month, coal-fired generation increased by 272 terawatt hours last year compared with increases of 114TWh for solar and 163TWh for wind. This is despite the fact wind and solar globally (and nationally) continue to be showered in subsidies. Last year the International Energy Agency estimated “$US750 billion ($1 trillion) in economic incentives have been provided to renewables over the past decade”. The IEA also noted “the fact remains that still only a small fraction of solar power is currently fully competitive without support”. The most modern coal plant in Australia is delivering power at about $40 per megawatt hour and an engineering study published last year put the midpoint price of a new high-efficiency, low-emissions power station at about $59/MWh. Some opponents of coal claim, without proof, that the new coal-fired plants are too expensive. Then they’ll have no objection if we put it to the test. We need new 24/7 baseload energy. Let the most cost-effective and reliable energy source win in a reverse auction. If we do it that way, there’s no need for government ownership or subsidies but it will mean plenty of low-cost power for major users, small business and households. Some will argue that Snowy 2.0 will fill the gap by backing up wind and solar power. That’s doubtful. Remember that we’re losing 8000MW of baseload power during the next decade or so. And remember that Snowy 2.0 will use more power than it will generate. While it may provide some back-up for some unreliable wind and solar, it won’t provide the reliability and price we need. The bottom line is that there is a gap in our energy policy that the NEG will not fill. That gap must be filled by new low-cost baseload generation driven by an open and transparent tender process. Ron Boswell is a former Nationals senator and leader of the Nationals in the Senate. Ron Boswell: a Nationals Treasure – still fighting for his country. Former PM Tony Abbott is doing a grand job. In light of the current situation in South West Victoria, the YouTube link below may be of interest. A trailer for the UK television series Windfarm Wars, which was posted in 2012. Some may already be aware of it. Thanks to the UK relative who sent this through to me. How true this comment is. Unfortunately our PM Turnbull doesn’t have the guts to do the right thing which would be to face the ‘Renewable’ industry down and force them to step back and ‘allow’ coal to have a place in our energy mix. Of course the ‘Renewable’ industry knows if coal is accepted into the mix of energy supply it will overtake them, stripping them of their financial stronghold on Australia. We need to have a break in the push for ‘Renewables’ and a forward movement in true base-load (not just faux storage) energy supply. If we want to return to a position in the world of a first world industrial and progressive nation we need to turn around the failings of the past years and work towards a positive future for all. We need to get out from under the strangle hold of the massive money grubbing ‘renewable’ industry and see them for what they are. Mr Turnbull there is only one thing you should be doing now and that is ensuring we have this essential service on demand. You know what is needed, you need to stop the swoosh of tongues with blades turning in your ear and stop tearing this Nation apart by juggling with our future. These turbines are a threat to the health of humans and animals with subaudible noise, and the environment, when they burn out or air fire fighters, in case of bushfire and and do nothing to decrease the cost of electricity. Money should be spent elsewhere – like solar panels on every house built and building, like the Japanese who are are laying solar panel type roads and other inventions coming through. Ever since the first industrial wind turbines were installed in Ontario, around 2003, citizens began to realize that these beasts of the wind were not all about generating ‘free’ energy from the force of the wind, but also brought with them a host of unsuspected and unintended consequences. A number of problems began to arise as wind turbines became wind farms and literally covered the land from east to west, more often against the will of the locals who had to contend with construction noise and other disturbances, while the turbines were being installed. Ontario mandated feed-in-tariffs in 2009 to reward citizens who agreed to allow developers to erect wind turbines on their property. For farmers with large rural properties, some of whom were tired of farming or were close to retirement with no one to continue to farm, this financial incentive was very appealing and many of them signed lucrative contracts. Other land-owners rejected the wind turbines, as did their local municipalities, for a variety of reasons, many which had been reported from other jurisdictions with a long history of wind turbine installations and their impact on the health of nearby residents. These adverse health effects included: audible noise, low frequency noise, visual impact and/or shadow flicker, as well as sleep disturbance, ear pressure, dizziness, polluted water and visual blurring, among others. However, provincial legislation over-ruled these concerns and in the next seven to eight years over 7000 wind turbines were installed, many against objections by local municipalities and residents, which marked the beginning of multiple legal actions against provincial Ministries, notably Ministry of the Environment and Climate Change (MOECC), a number of which are still working their way through the courts. In 2012, Toronto lawyer Eric Gillespie, launched his tenth lawsuit against the East Lake St. Clair 55-wind turbine project near Wallaceburg, in south-eastern Ontario. The suit was based on alleged devaluation of property, and sought damages totalling $9 million from seven landowners who have leased out their property for turbines. Gillespie noted that some studies have shown that property near wind power developments declines in value by up to 40 per cent. This claim has not been proven and was challenged by the defendants, citing other studies which denied the property devaluation. Also in south-eastern Ontario, Chatham-Kent residents filed a lawsuit in September 2017 citing water well interference following the start of construction on a 34-turbine wind power project near their farms. Pollution problems were faced by dozens of families in neighbouring Dover Township, where wells began showing high levels of black silt as soon as pile driving started for various wind turbine projects built there over the last eight years. Both counties sit atop the Kettle Point black shale bedrock formation. The project developer, North Kent Wind One (owned by Samsung Energy and Pattern Energy), started pile driving for the first turbine foundation in June 2017. The vibrations caused by the pile driving could be felt hundreds of meters away. Before construction began, experts predicted that local wells could suffer siltation problems from the vibrations, which is exactly what happened. Some of the 13 wells affected to date have become so silted up that water no longer flows through the household plumbing. government also introduced new and more accurate standards for how companies model the noise impact of turbines before they’re built, an acknowledgement that previous noise complaints were valid. More recently, the president of Wind Concerns Ontario (WCO), a volunteer-led coalition of 30 community groups involving many Ontario families, has filed a “private prosecution” against then-Minister Chris Ballard, Minister of the Environment and Climate Change (MOECC), for violating Ontario’s Environmental Protection Act (EPA). Ballard was defeated in the recent election. Wind Concern Ontario (WCO) recently received MOECC documents under a Freedom of Information request that showed thousands of unresolved reports of noise, many with staff notes about sleep disturbance and health impacts. Between 2006 and 2016, there were more than 4,500 recorded reports, 35 percent of which contained staff notes about adverse health effects; between 2015-2016, the MOECC response rate to the reports of excessive noise was less than 7 percent. “Citizens report going without sleep for days, weeks, even months,” said Wilson. “Sleep disturbance is linked to other health problems such as high blood pressure and diabetes. Mr. Ballard, as steward of environmental protection in Ontario, was responsible for allowing this environmental noise pollution to continue.” On April 30, 2018, Mr. Ballard was served with a summons to appear before the court on May 17, 2018. So where have these years of installing wind turbines left Ontario, in addition to the numerous lawsuits? The investment in wind turbines has not resulted in significant additional generation of electrical energy. From 2010 to 2015, according to the Independent Electricity Systems Operator (IESO), our province has failed to deliver any more electrical energy from wind farms than eight percent, on average, of the total electrical energy delivered by all sources. In 2015, it was just six percent. Unlike other countries, which also have various problems with wind turbines, Sweden, Denmark and Germany have been able to generate significant electrical energy from wind turbines, at high cost. Ontario is not blessed with wind-strewn areas like these countries, with steady, consistent winds, except in a few locations, and an installed power generation system (nuclear, hydro, etc.) which can benefit by adding over 7000 wind turbines, blades often still, and requiring frequent back-up by gas generation. From Toronto to London or Windsor, and east to Kingston, as well as up the coast-line of Lake Huron, where the wind often doesn’t blow at sufficient speeds to generate one microwatt of electrical energy, the full scope of this energy fiasco is revealed. There is a connection in Ontario’s wind turbine folly to the current Liberal government’s hell-bent carbon tax policy, which will fall well short of meeting GHG emission reductions, and are currently being challenged by at least three provincial governments, with more to come. One of the advisors to former premier Dalton McGuinty was Gerald Butts, who, along with other environmental activists was a key proponent of Ontario’s disastrous renewable energy program. This individual has moved on to bigger and better environmental challenges, as Principal Secretary to the PM, where his advice will soon impact all Canadians, as the Federal Government rushes to implement a complex, unproven carbon pricing policy, imposing it on all Canadians. It says a great deal about the processes of government in this country when two very important persons in it (or formerly in it) speak with such clarity and are backed up completely by analysis of real life data that proves their position to be correct, yet they are totally ignored. Former politician, and labor heavyweight, Graeme Richardson is fond of saying ‘ the mob will work it out’ – well the mob need to get a wriggle on before its too late. The unreliables can not guarantee any future supply guarantee. They cannot say for instance that wind power will provide a baseload power of eg. 100MW for the next 7 days. How can they when they don’t know whether the wind will be blowing or not? That is a huge problem. The burden that is being placed on the taxpayer due to the incompetence and ignorance of government is unforgivable. The Libs, Labor and Greens are destroying Australia’s future prosperity. Is it any wonder why I won’t be voting for either of these ‘loonie green’ parties?